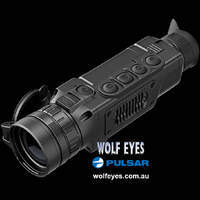 The Apex XQ50 and Apex XQ38 continue on from a long line of Pulsar Apex Thermal night vision, but add the very useful function of a LRF so you can ascertain distances easily.. Like all thermal night vision the Apex series isn't affected by bright lights and doesn't need an external light source at all. 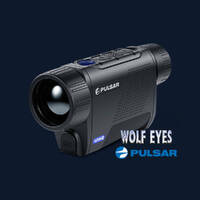 The thermal capabilities allow it to see through long grass or scrub, fog or smoke. 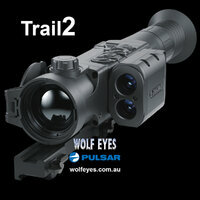 Very similar functional capability to our Trail thermal scopes. 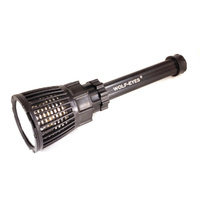 The LRF is good up to 1,000 metres, usually more than enough for most requirements. “Picture in Picture” function provides shooter with a possibility to display an additional image region on the screen which contains 2x magnified image of a picture and reticle. This allows seeing image in the reticle area in a more detailed way. Additional region (precise frame) is situated in the top center part of the screen above the reticle. Occupying only 1/10 of the total screen area additional image region allows simultaneous use of the entire field of view for observation. This allows perfect placement. Standard for Pulsar digital scopes “one go zeroing” in Apex models is complemented by an even more convenient zeroing function - “Freeze”: after making a zeroing it is enough to save a frame of a picture in the memory of the thermal nv and align reticle with point of impact looking at this frame without the necessity of keeping full immobility of the attached device. Apex has display shut down function which has to be used in the cases of short breaks during the process of observation for preventing disclosure of the user by the light from the eyepiece. When display is turned off all other systems are fully functional which allows instantaneous activation of the monocular. 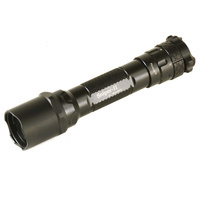 With IPX7 (IEC 60529 standard) water protection class Apex scopes can be operated in the conditions of precipitation of any intensity and withstand a short underwater submersion. 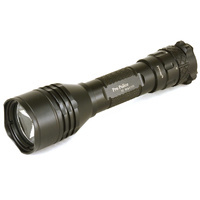 We still do not recommend scuba diving with this monocular! Precision begins with knowing the distance to your quarry. 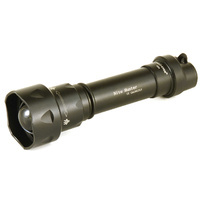 The Apex LRF features an integrated laser rangefinder capable of capturing and displaying distances accurately, within ±1 m., up to 1000 m.
A reticle is electronically displayed on the screen and is permanently located in the plane of image. The Apex internal memory contains 10 reticles of various shapes and applications. The color of the reticle can be switched from black to white. The software allows the user to save in memory three different zeros with each option allowing the use of a dedicated reticle. 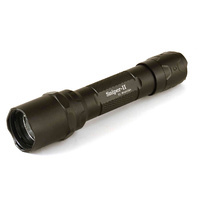 The Apex thermal scopes feature a 67 mm eye relief – one of the best parameters in its class. 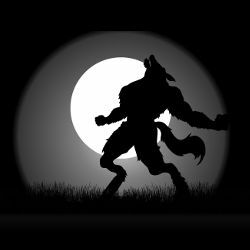 The greater is the eye relief the less traumatic is the use of the scope, especially on hunting tools with considerable recoil. The Apex thermal scopes are equipped with a Video Out jack enabling real time video recording with the use of external recording equipment. Diopter adjustment, - 4…+ 3.5 dptr.